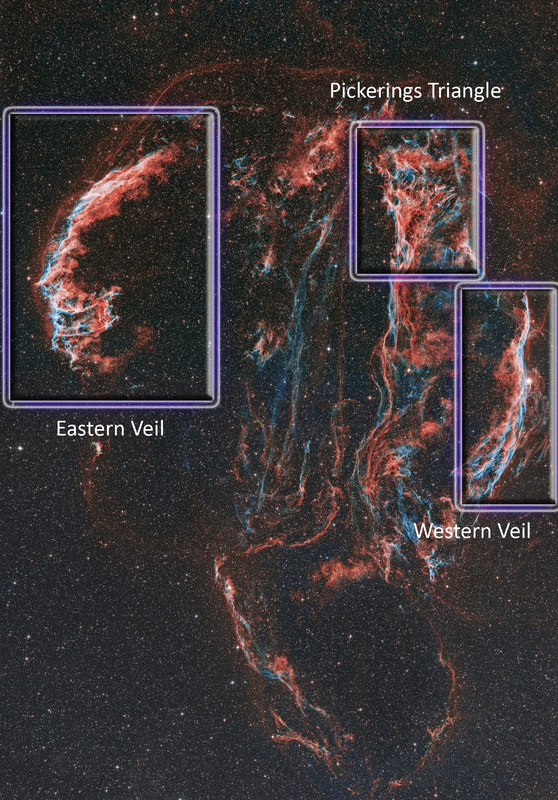 The Veil Nebula is a cloud of heated and ionized gas and dust in the constellation Cygnus. 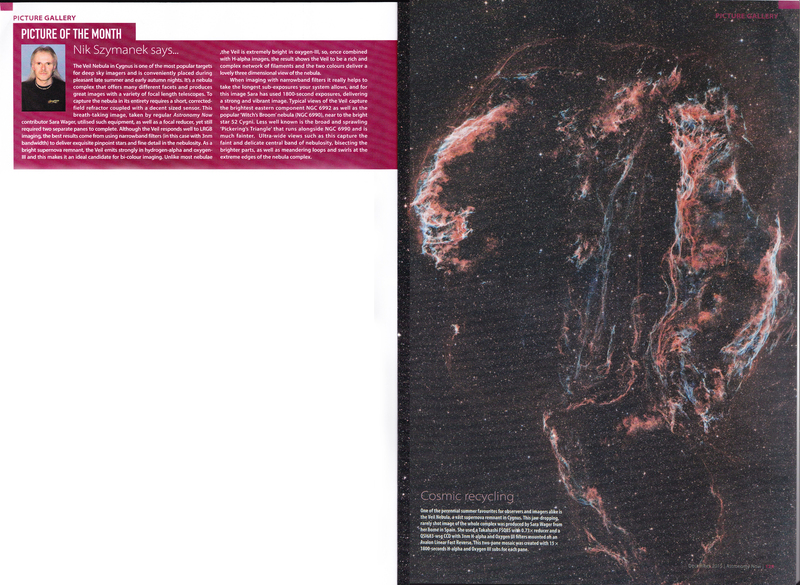 It constitutes the visible portions of the Cygnus Loop, a large but relatively faint supernova remnant. 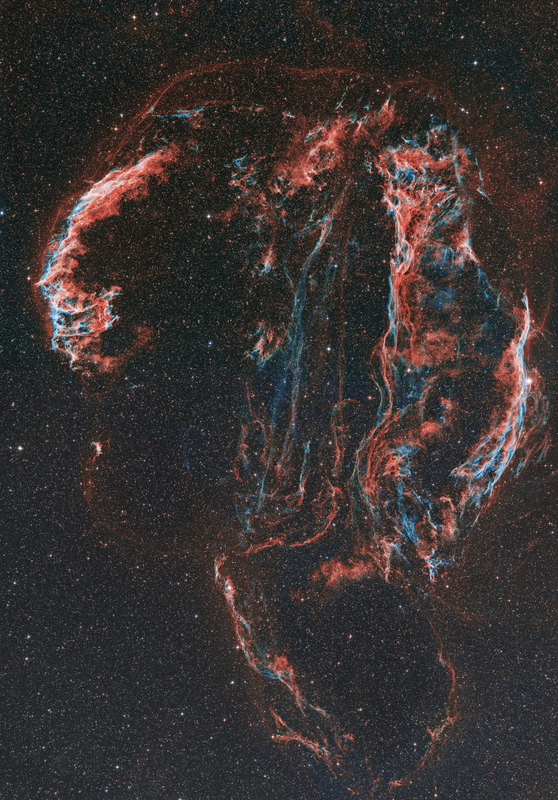 The source supernova exploded some 5,000 to 8,000 years ago, and the remnants have since expanded to approx 6 times the diameter of the full moon. 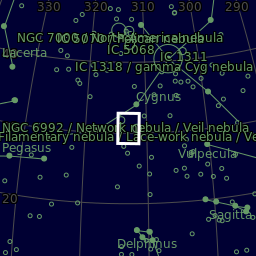 The distance to the nebula is not precisely known, but Far Ultraviolet Spectroscopic Explorer (FUSE) data supports a distance of about 1,470 light-years. C: QSI 683 with 1.25" 3nm Astrodon Ha and OIII filters. Here you can see the three main parts of the Veil complex.